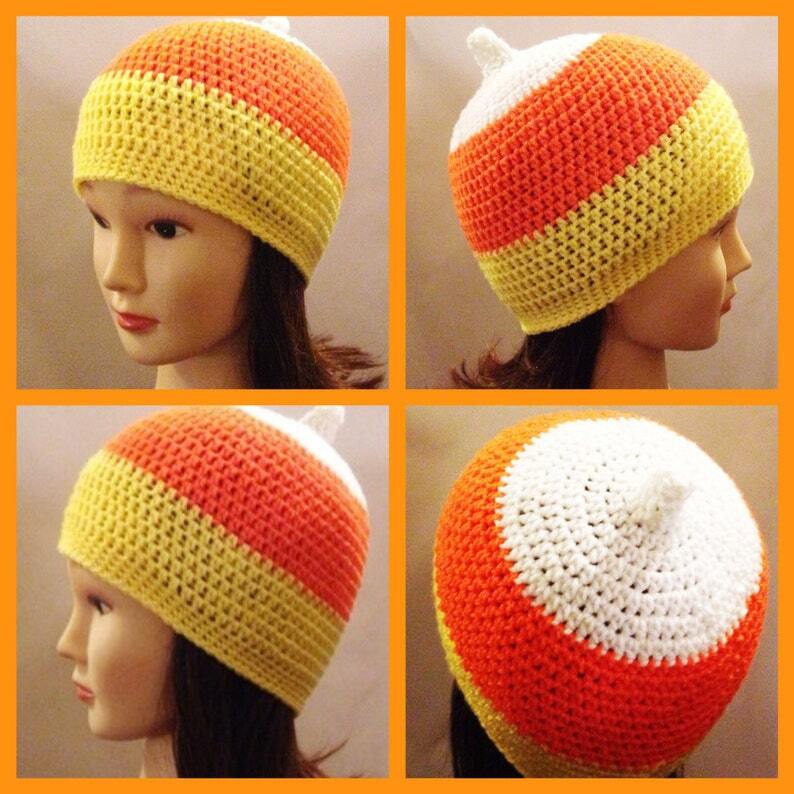 Crochet your very own Candy Corn Beanie! This crochet pattern uses approx 60 yards of DK weight yarn and uses 4.5, 5 or 5.5mm crochet hooks. You'll be able to crochet this beanie in a child, teen or adult size, and I've included the US and UK stitch versions of the pattern. *Pattern/s will be available for download after completed transaction..